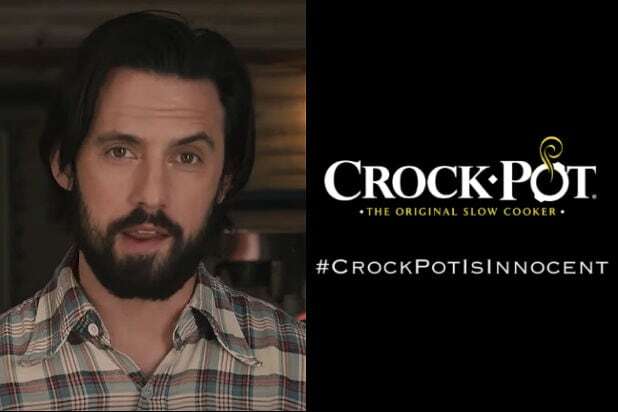 Crock-Pot has been to hell and back because of Jack Pearson, and Milo Ventimiglia knows it. The venerable brand of slow-cookers ended up taking the rap for the central tragedy of NBC’s “This Is Us,” the death of Jack (Ventimiglia) that was finally depicted in the show’s post-Super Bowl episode. Turns out the Pearson family patriarch died the night of a house fire started in the January 23 episode by a faulty switch on a very old slow-cooker. That’s why Ventimiglia told TheWrap Monday he was willing to help the brand out by quickly shooting a winking promo that touted the “innocence” of Crock-Pot, which dropped online Saturday. Watch the Crock-Pot ad featuring Ventimiglia below. The next episode of “This Is Us” will air in its usual time slot, Tuesday at 9/8 c on NBC.